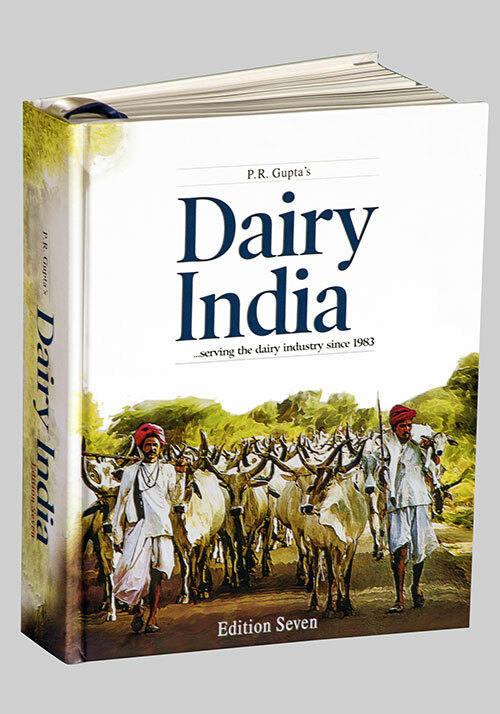 "A handy desktop reference sourcebook, Dairy India 2007 presents an in-depth profile of the emerging dairy scenario. What the Indian dairy industry needs and what it has to offer is the main theme. Also presented are market trends and investment prospects that this dynamic industry offers in abundance. The assessments and projections given provide the basis for planning by dairymen, nationally and internationally. It is widely consulted for locating new markets and sources of supply of inputs and services. Dairy India is recognized as the standard work of reference for professionals in every sector of dairying. A new section, Dairy Asia, has been added to cover the fast growing Asian dairy scene." Dairy India 2007. Sixth Edition (Estd: 1983). Pages: 840 + xxiv (over 260 statistical tables & charts). A-25 Priyadarshini Vihar, Delhi-110092, India. First-of-its-Kind reference, A to Z handbook on ethnic milk products.